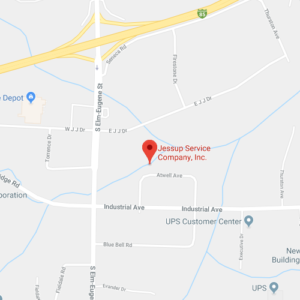 At Jessup Services, we continually strive to exceed and increase our customers’ expectations. This is the vision we support; our 13 points of culture. I promise to do my very best in every task or assignment given. I will give 110% to achieve the highest quality product while helping everyone rise to the next level of success. Achievement is reaching a common goal to successfully serve everyone on the team. In order to be the best, we must first reach that level of achievement by raising each other up to a higher level. I understand not everyone is made exactly like me, nor do they work, think, or desire my same ideas. Therefore, I promise to my team member to listen to them, understand their needs, and focus on making every customer both internal and external have a positive experience. My job is the be the best each and every day to every client or customer. I promise to deliver the highest quality service. The solution of win-win must be our focus. I promise to lead by example everyday through my words and actions to create a positive environment. Leaders must be close enough to relate to others, but far enough ahead to motivate. Encouragement is defined as “the action of giving someone support, confidence, or hope.” It is my responsibility to encourage and motivate my teammates by my words and actions. I will offer my knowledge, training, and flexibility to help everyone achieve our company goals. I know that my every action is affecting my teammates and I promise to be flexible about what may not be working, by looking at the systems and not the people. Change is a huge part of today’s business and we all must accept that change will occur. I agree to rise above the word “acceptable” and seek the word “professional,” as this brings about the very best in all of us. Being my best every day to both internal and external clients creates a professional environment. It is up to me to be respectful in every situation to everyone, no matter what is happening, without distraction. I will remember that my bad day or bad event was not caused by anyone else. I will show true respect to everyone who I communicate with throughout my day, remembering that we all have shortcomings and faults. We are licensed for general construction, plumbing, air conditioning, heating, and electrical services. We specialize in light commercial uplifts and commercial renovation.